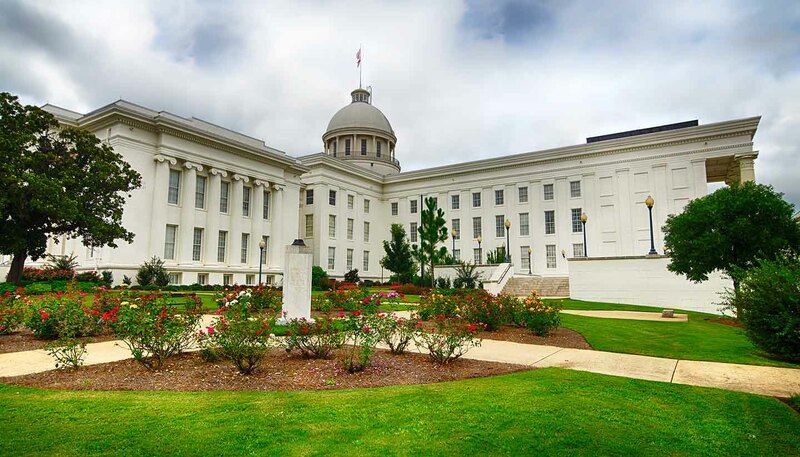 Known affectionately as the ‘Heart of Dixie’, Alabama thrills visitors with its fine antebellum architecture, white powdery beaches, hearty cuisine and rich sporting heritage. History nuts also have plenty to get their teeth into, from caves used by prehistoric Native Americans to the spot where Jefferson Davis became president of the Confederate States of America. In the 1950s and 1960s, Alabama was at the heart of the American Civil Rights Movement. Dr Martin Luther King Jr first preached at the Dexter Avenue King Memorial Baptist Church in Montgomery, and you can find sites commemorating the struggle across the state. Alabama’s landscapes are many and varied, ranging from mountains and forests to lakes and beaches. Take a road trip through sprawling farmland and plantation homes, hike the Appalachians or paddle some of the 2,600km (1,600 miles) of waterways, which meander through the state. Alternatively, head to the coast where watersports, wildlife and white sands await. Foodies can dig into good ole Southern fare, chomping slow-cooked hunks of barbecued meat, scooping up fresh-from-the-Gulf crab, or splurging on unpretentious gourmet dining in the bright lights of Birmingham. Alabama’s largest city is also home to the country’s oldest baseball stadium, built in 1910. Sport is huge in Alabama. Track and field star Jesse Owens was born here and the NASCA races at Talladega Superspeedway are world famous. The state also hosts the legendary Senior Bowl, an annual North vs South battle featuring the country’s top college football players. And if you like a good knees-up, Mobile has been celebrating Mardi Gras since 1703, longer than any other US city (yes, we’re talking about you New Orleans). 135,244 sq km (52,219 sq miles).